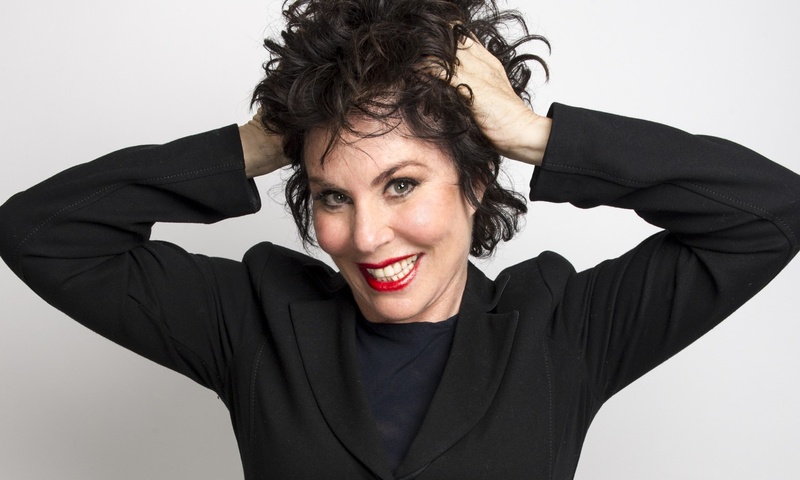 If you’ve been searching for something a little different to do, then look no further than spending an evening with the very amusing Ruby Wax. In her new show calledSane New World, Wax explores the stresses and strains of modern living, posing questions such as “how did we get so busy?”, “why do we say yes, when we really mean no?”, and “where do these negative thoughts come from that invade our brains and tell us we’re not good enough?” They’re subjects we can probably all relate to. After experiencing depression herself, Wax decided to go back to basics and learn how the mind really works. After consulting a slightly snobby-sounding professor, who told her the only place to study was Oxford University, Wax successfully enrolled there and went on to complete a Masters in mindfulness-based cognitive therapy. Using this knowledge, she offers suggestions and solutions for surviving the 21st century. But this show is far from being a high-brow lecture – it’s a fun, entertaining and educational evening. And Wax is an incredibly engaging host, who chats to the audience like we’re her old friends, opening up to us on stage about her own experiences. Expect lots of laughs and amusing anecdotes along the way, like Wax’s account of being a contestant on Celebrity Shark Bait. Wax opens the show by recalling the time she appeared in a Comic Relief campaign, and ended up becoming the poster girl for mental health. By tackling the subject head on, Wax sheds light on the topic in an accessible and easy-to-understand way. At the end of the show, you’ll certainly know your amygdala from your elbow. And she throws in some twerking at the end for good measure – what’s not to like? After the interval, Wax returns to the stage for a relaxed Q & A session with the audience, opening up the discussion for all to get involved in. And after the show, you can purchase copies of Wax’s two books – Sane New World and A Mindfulness Guide For The Frazzled – which she’ll even sign for you. You can watch Sane New World, which runs until February 13, at the Arts Theatre in London – it’s literally just round the corner from Leicester Square tube station. The show start at 7.30pm, Monday to Saturdays, and there are also matinees on Thursday and Saturdays, which begin at 3pm. On performance nights, the theatre bar opens one hour before curtain up, and closes one hour after the curtain goes down. The theatre also boasts the MADD Hatters café – it’s a lively and vibrant space with a real buzz about it, serving a delicious array of tea and cakes. Tickets can be purchased via the Arts Theatre website or by calling the box office on 020 7836 8463 but Lovetheatre.com currently has a special offer on, where tickets start from £14 with no booking fees – that’s a saving of up to 40%. You can also attend one of the free mindfulness sessions at the Arts Theatre, on February 5 and 10 from 2 – 4pm. These sessions feature a whole host of experts and are absolutely FREE. For more information about the show and about Ruby Wax herself, why not check out her website.